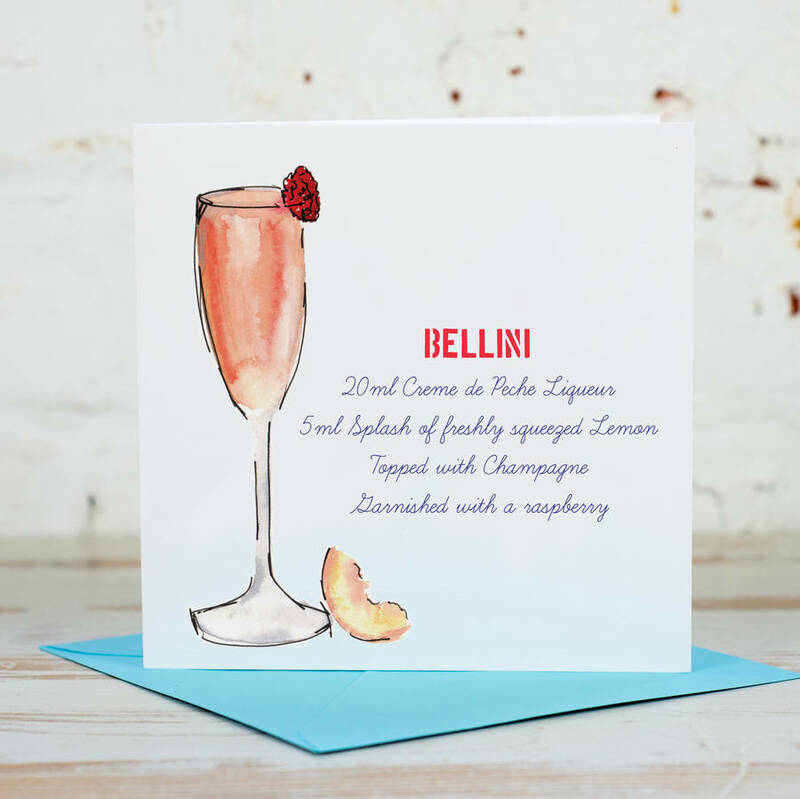 This card comes with a lovely square envelope in a cellophane pocket. 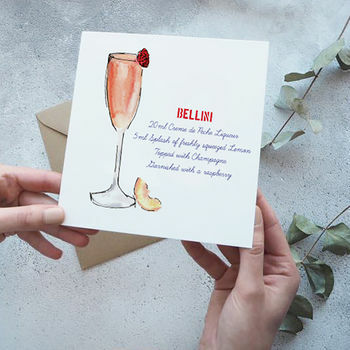 It features a watercolour painting of a refreshing bellini cocktail (painted by Hannah Stoney) and the recipe to make a bellini. 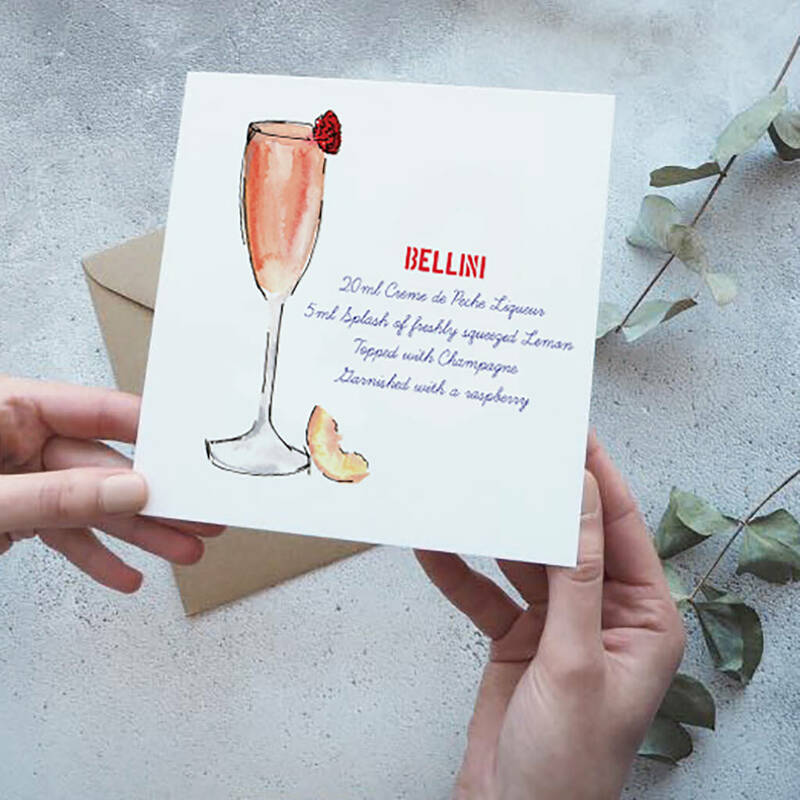 A lovely simple and modern card for any cocktail, presecco or champagne lover! Lovely thick matt paper that is lovely to write on. This product is dispatched to you by Yellowstone Art Boutique.